You wake up, get your cup of tea ready, sit down at the computer to catch up on emails when you realize one sticks out and has to be opened before any other. What took precedent over the tons of special offers and can’t miss sales? 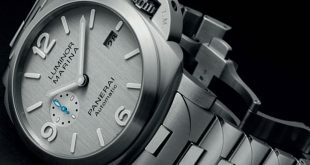 The release of 3 new Panerai timepieces that we will showcase here on Panerai Central. Immediately I knew which piece would be my first post, the Panerai PAM619 1940’s Titanio (Titanium) Automatic. When the 1940’s case was introduced a bit ago I was instantly drawn to the case design and felt it was a nice middle ground between the current Radiomir and Luminor case. The combination of the larger cushion case with solid lugs instead of wired ones was a great combination. 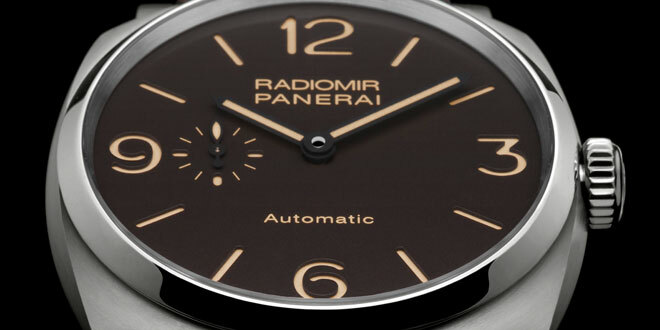 The PAM619 features a couple of firsts when it comes to the Radiomir 1940’s family. 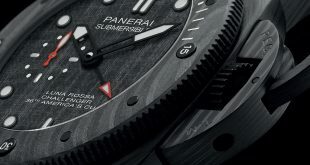 It is the first piece in their lineup to feature a 45mm case made out of titanium. The cushion case that is used in this piece is comprised of 2 different types of titanium. The case is comprised of grade 2 titanium, which is a perfect alloy because of it’s lightness. In fact this alloy is around 40% lighter than the steel and is resistant to corrosion. The bezel and crown on this new piece is made of grade 5 titanium, an alloy which differs from the previous one in that it can be polished, thus obtaining the elegant contrast see on the PAM619. This beautiful contrast works in harmony on this watch. 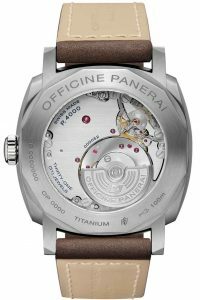 I have become so used to a single matte finish on titanium watches issued by Officine Panerai so this is a breath of fresh air. 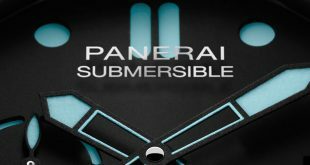 That pairing was a major selling point that steered me in the direction of the PAM312 as my first Panerai. I fell in love with the brushed steel case with a polished bezel. 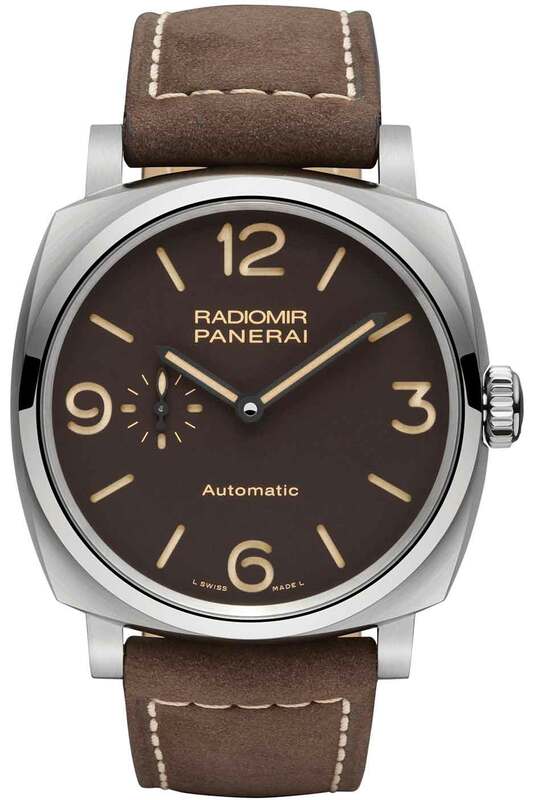 Now we have a chance to have the same combo on a 1940’s Radiomir, only this time with titanium on the PAM619. To compliment the grey tones of the titanium case, Panerai chose to go with a warm brown dial that features the layered sandwich construction which was created by Panerai back in the 30’s. This construction paired with the Super-LumiNova we all have come to love on Panerai watches gives this piece enhanced visibility in even the lowest of light situations. One thing that I am very pleased to see on this model is that sub second hand at the 9 o’clock position without sacrificing the actual numeral 9. It brings a nice balance to the dial and adds a simple complication that I have grown to love on Panerai watches. On the more historic models such as the PAM372 or PAM587, I can do without it because it’s a throw back to their roots. Hiding behind the brown dial and acting as the heart of the PAM619 is the P.4000 automatic in-house movement. Originally released in 2014, it was the first time Panerai executed an off center rotor which allowed the automatic movement to be substantially thinner than previous automatic movements in their collection. Historically the Radiomir featured mechanically wound movements, but with this new design Panerai is able to feature an automatic movement in the 1940’s Radiomir case. 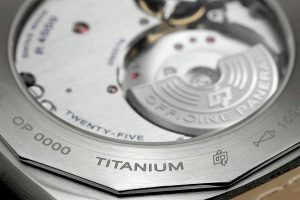 Another feature of the P.4000 calibre is a device which stops the balance when the winding crown is pulled out so that the watch can completely be synchronized. All of this precise engineering to bring the P.4000 movement together can be viewed through the sapphire crystal case back. 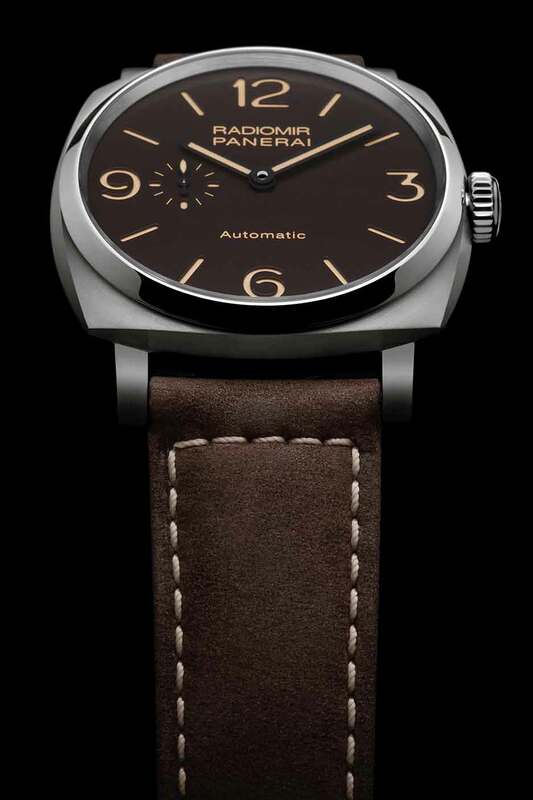 To round out this all around beauty, Officine Panerai went with a brown buffalo strap with contrast stitching. 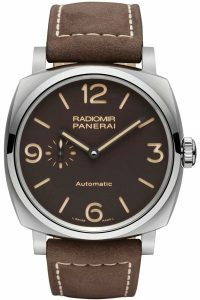 The Panerai PAM619 at first glance looks like a very common 1940’s Radiomir, but digging a little deeper you can gain a new respect for the piece. Being the first to include the 2 styles of titanium and automatic movement in a Radiomir 1940’s case. 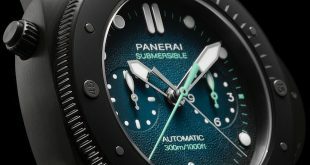 I am going out on a limb and saying this is going to be a winner within the Panerai community as well as new customers of the brand. Pricing on the PAM619 is set at $10,700 USD which is pretty darn amazing if you ask me considering the features that this has to offer. DIAL – Brown with luminous Arabic numerals and hour markers, sub seconds at 9 o’clock.